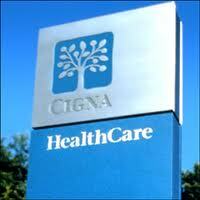 BLOOMFIELD, CT: Cigna said that at least five more agencies were added to the health insurer's search for a global AOR. The Bloomfield, CT-based company issued an RFP to eight undisclosed agencies on February 4. The RFP, which is expected to be awarded by March 31, focuses on integrated communications that can help advance the "business interests of the company." Maggie FitzPatrick, CCO at Cigna, said the company's sourcing team evaluated eight requests to be considered for the review after the news became public. She added that the health insurer is now looking at approximately 11 agencies as the review moves into the next phase. She noted that two firms had dropped out of the process due to conflicts. FitzPatrick declined to provide the names of any of the agencies, but noted the "quality and breadth of the agencies participating in our AOR search." Presentations are expected to begin in March.